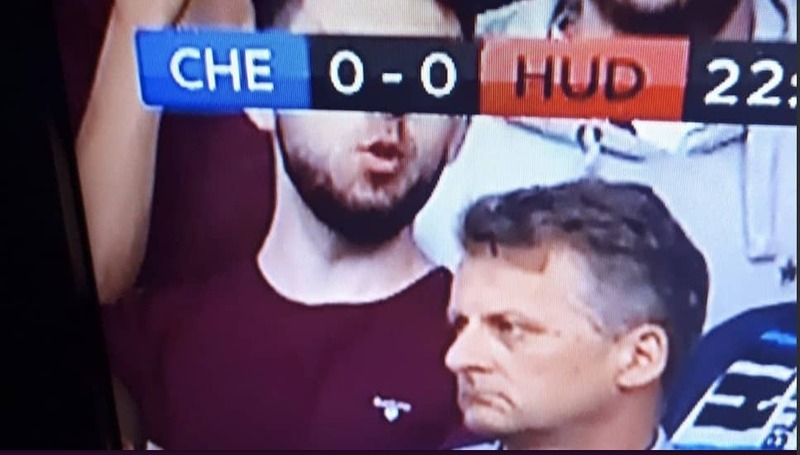 A wanted burglar was caught by television cameras this week watching Chelsea play Huddersfield, police have confirmed. The masked thief is believed to be behind hundreds of crimes in west London and has evaded all efforts to catch him. But officers were close to catching their man when he was spotted at Stamford Bridge wearing his distinctive black mask and purple t-shirt. Police rushed to the stand but the villain, dubbed the Chelsea Dagger, had done a runner. Inspect Will Knabbem, from Scotland Yard, said: “The lads were watching the Chelsea match on the television in the incident room when the Dagger popped up on the screen. “They couldn’t believe it – and rushed down to the ground to make an arrest. It is believed the Chelsea Dagger, so-called because he uses his knife to pick locks, is responsible for 340 burglaries in the posh Chelsea and Kensington districts of London. He has been caught on CCTV several times wearing his trademark mask which covers his face. Police say he is around five feet ten inches tall and, according to the man standing next to him in the ground, speaks with a London accent. That rules him out being a Huddersfield supporter who only pops down to London to watch football and burgle properties. Police will now be glued to all future televised Chelsea matches in case the burglar is spotted again.